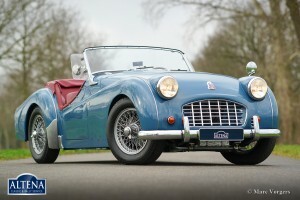 Top-speed:170 km/h. - 106 mph. 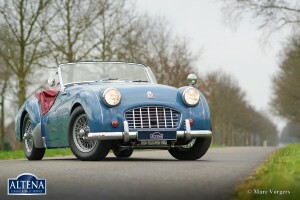 Triumph TR 3, year 1957. 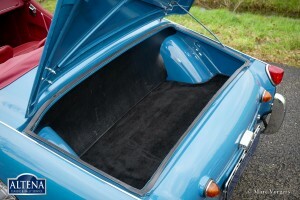 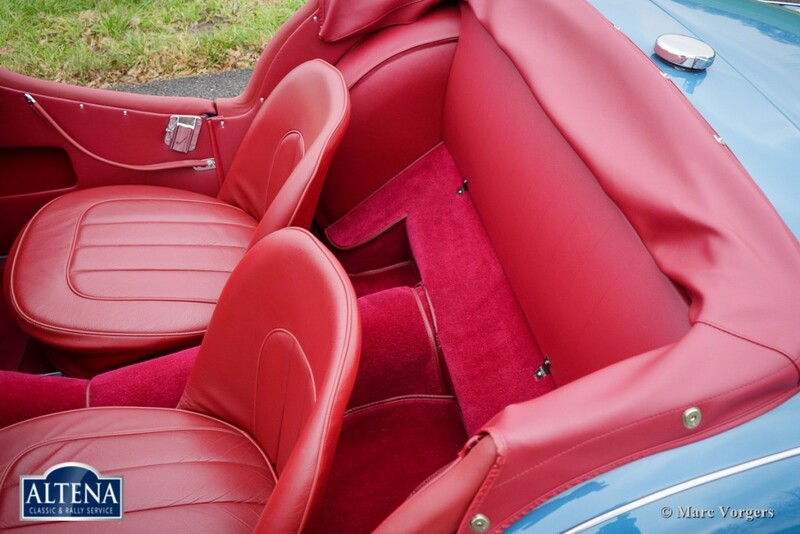 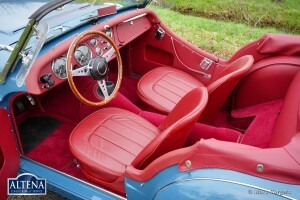 Colour blue with a red leather interior and red carpet. 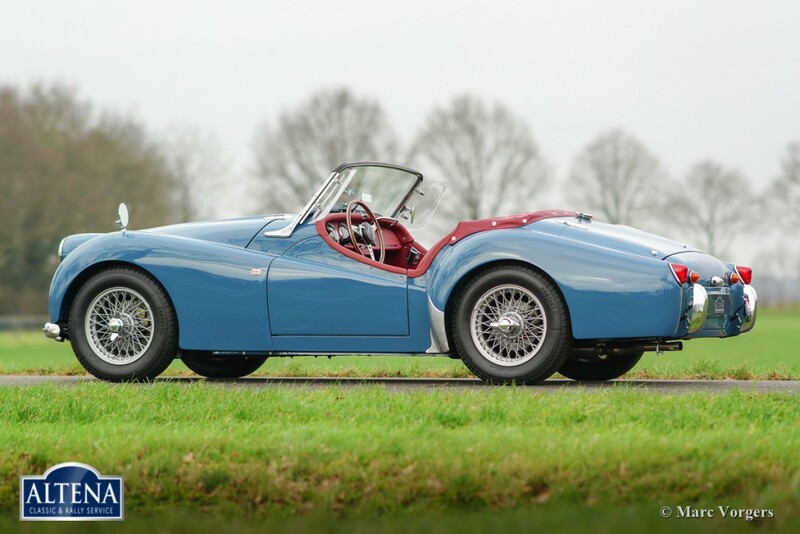 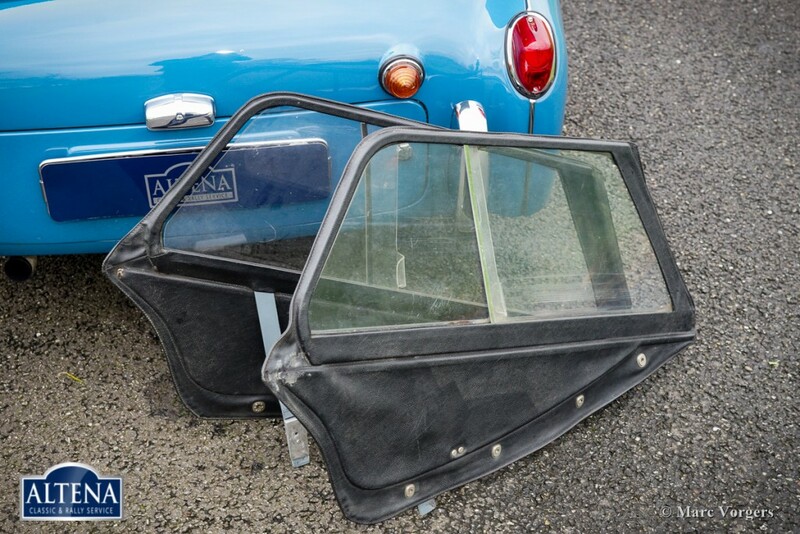 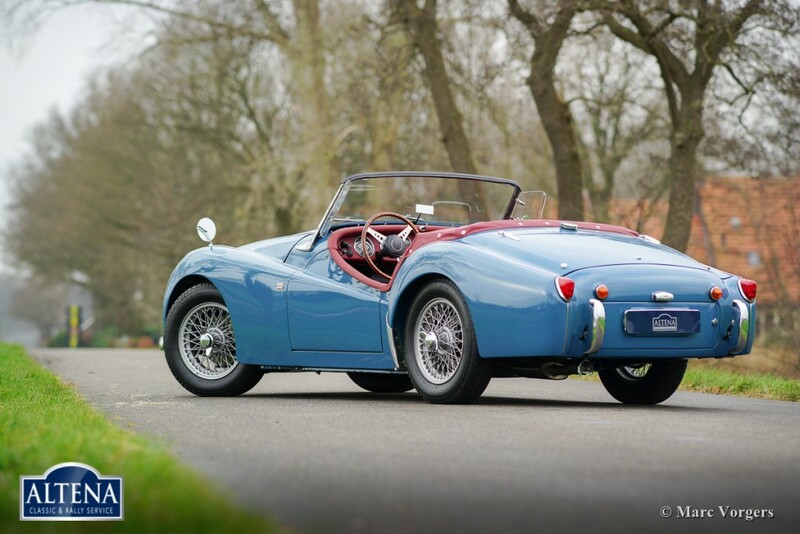 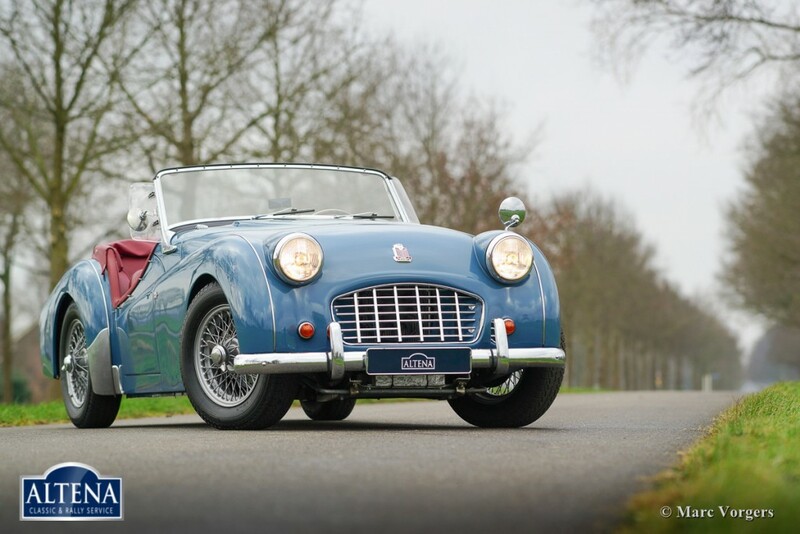 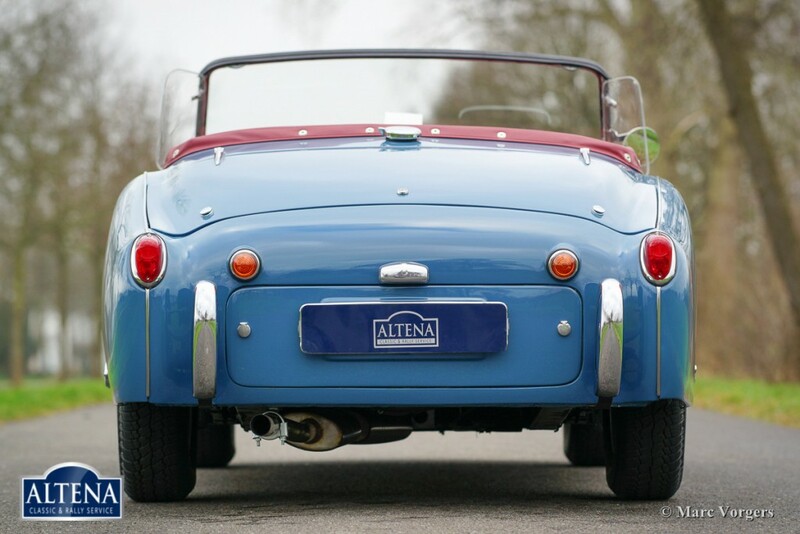 This fantastic and ‘matching numbers’ Triumph TR 3 was extensively and perfectly ‘body off’ restored in the year 2014. The automobile is in superb top condition! 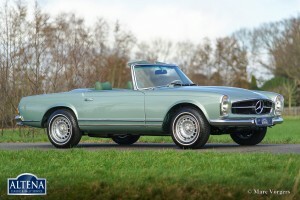 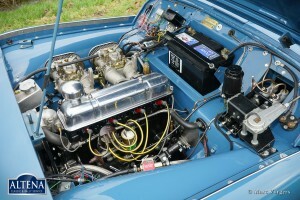 The engine and the overdrive were overhauled by the renowned Dutch firm of van Giersbergen. They have had the engine Onixx dyno tested and fine-tuned, the engine delivers 126 bhp. 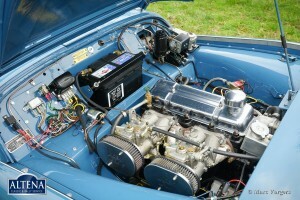 The engine is fitted with two twin choke Weber carburettors, an electric petrol pump, an aluminium radiator, oil-cooler, Kenlow electric fan, a high torque starter motor and an AC generator. 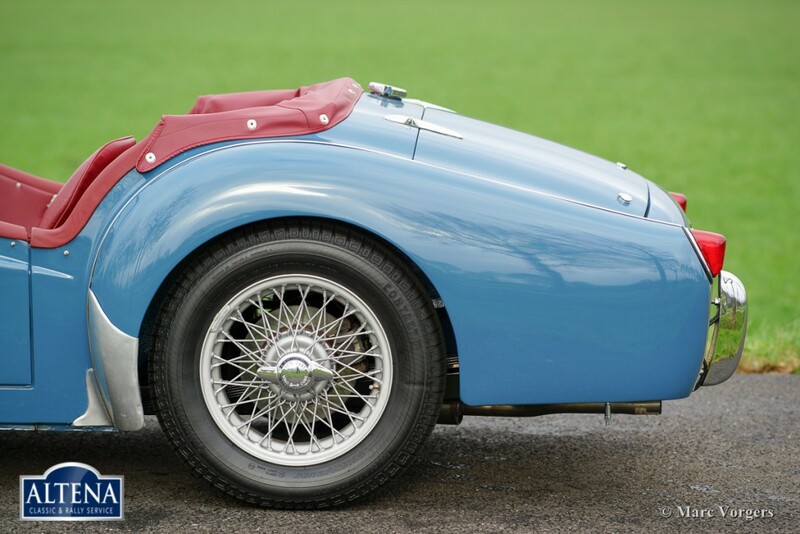 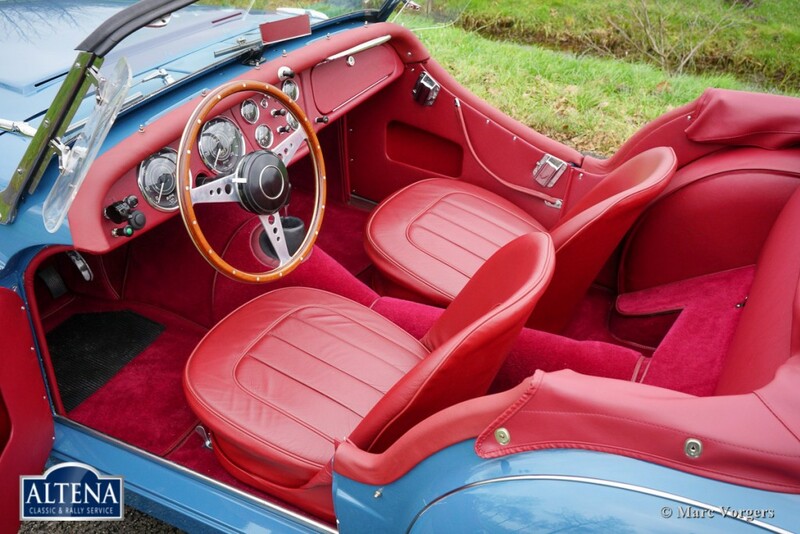 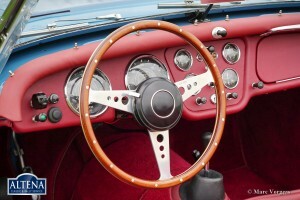 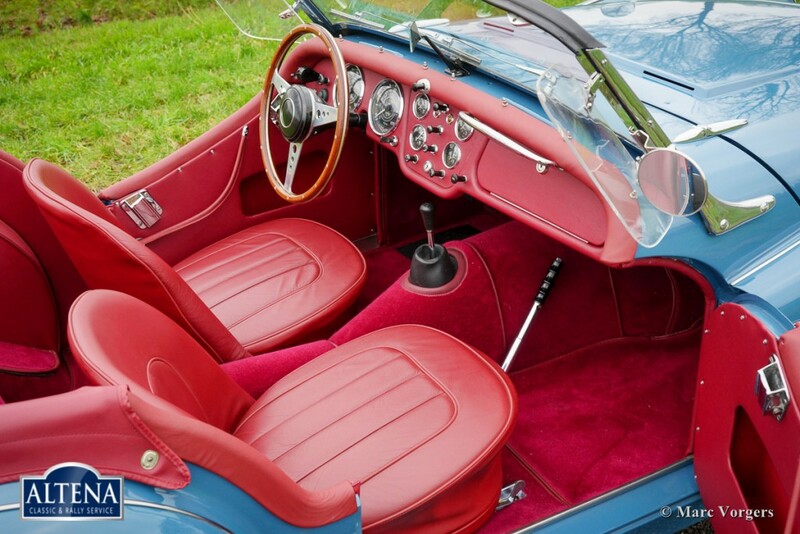 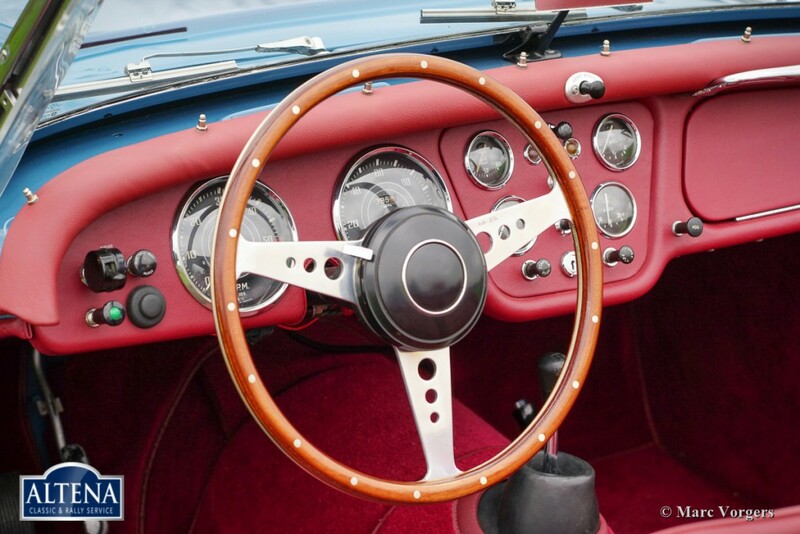 Furthermore, the car features a MotoLita steering wheel with wood rim, overdrive and disc brakes all round (upgraded at the front and drum to disc modification at the rear). 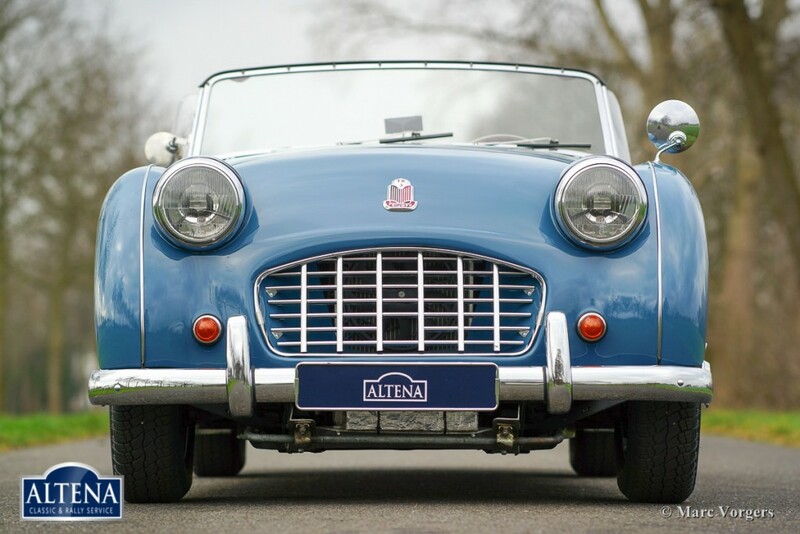 The car comes complete with a Heritage certificate, a Fiva Identity Card and the Onixx Dyno test report. 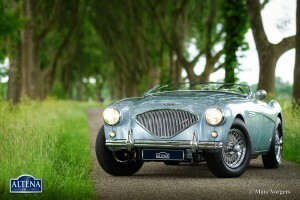 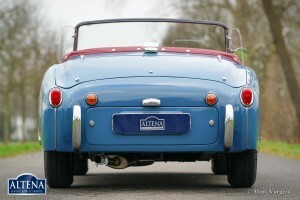 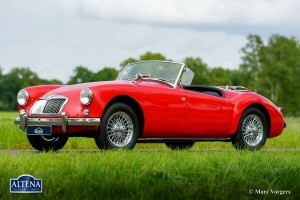 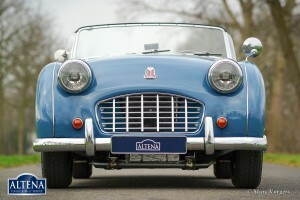 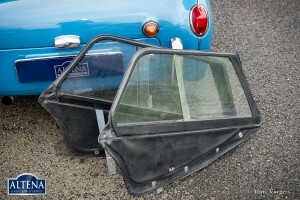 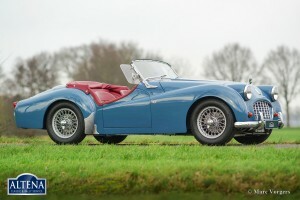 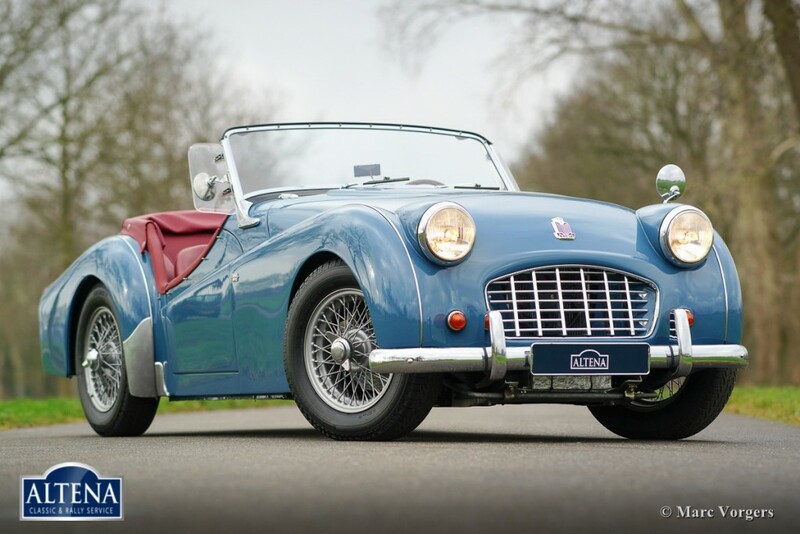 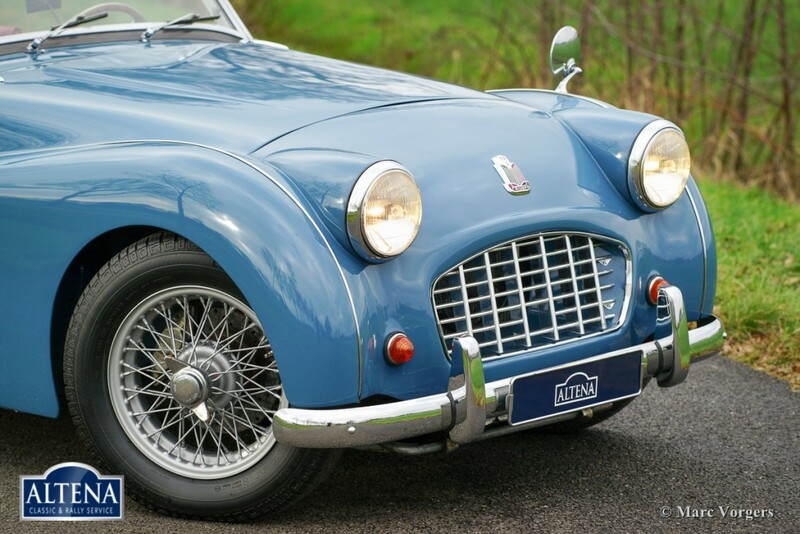 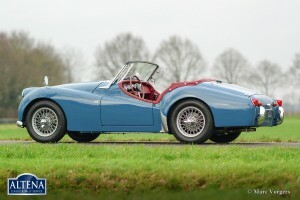 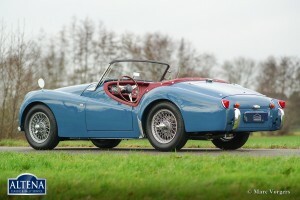 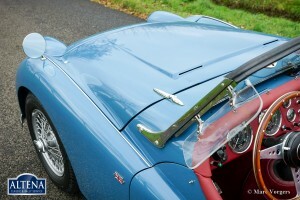 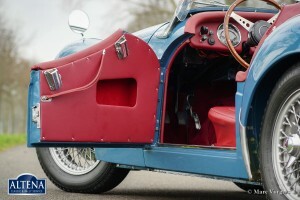 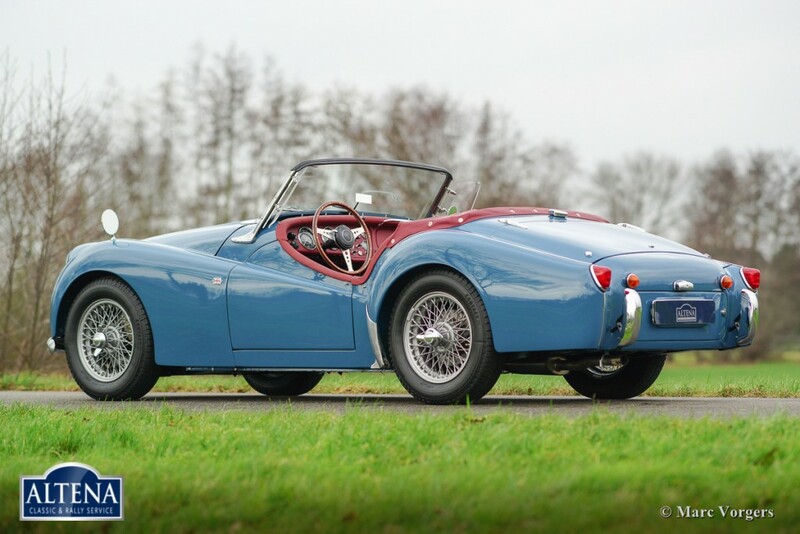 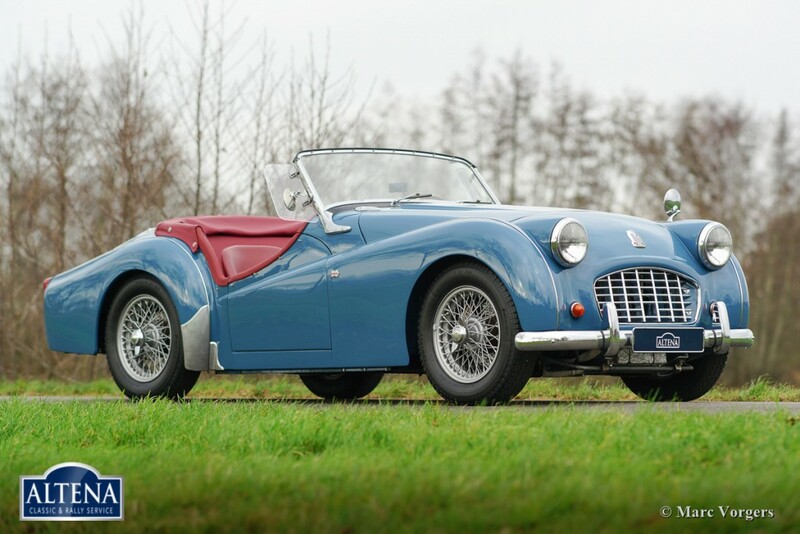 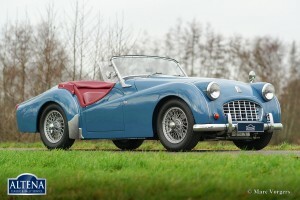 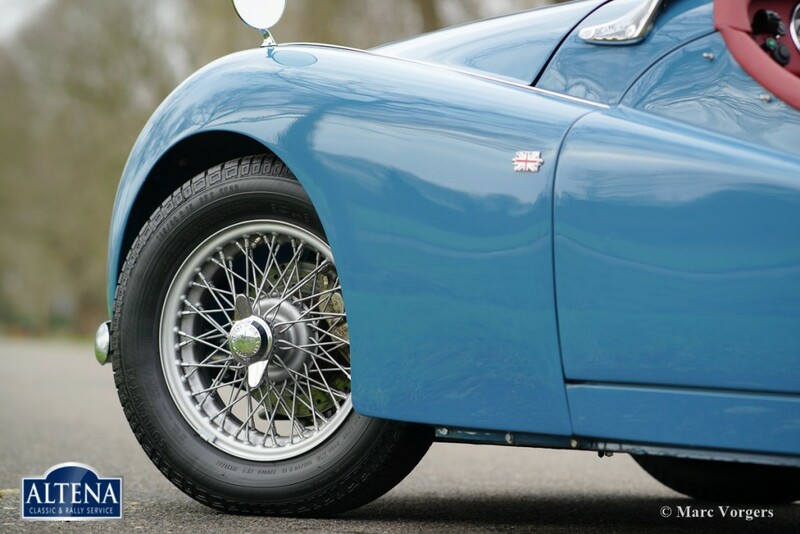 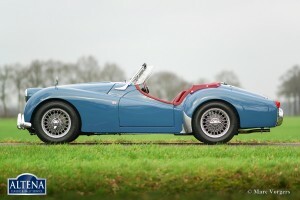 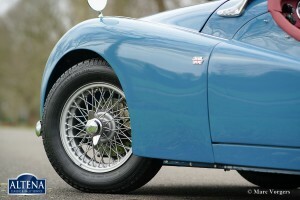 This Triumph TR 3 drives magnificently AND the car is Mille Miglia eligible!